Bournemouth University Vice-Chancellor’s International Scholarship. 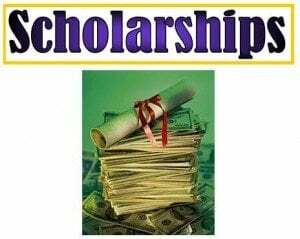 The scholarship is open for eligible postgraduate students from China, India, Nigeria, South Korea, Thailand, Turkey, the USA or Vietnam. The Bournemouth University Vice-Chancellor’s International Scholarship recognises academic excellence in applicants from any of the above-listed countries. It is open to any students applying for a full-time postgraduate course with BU who have the overseas equivalent of a UK first-class honours degree (as assessed by NARIC). Bournemouth University International Admissions Team can help if you need any clarification about whether your qualification is applicable. In addition to your academic achievements, you will also need to showcase an outstanding personal profile through your personal statement in the application form. The scholarship is paid as a reduction in your tuition fee for the duration of your course (excluding any repeat units). You will be notified if you have been successful within one month of the closing date for applications. Your scholarship can’t be formally approved until you hold an unconditional firm (UF) offer with BU.